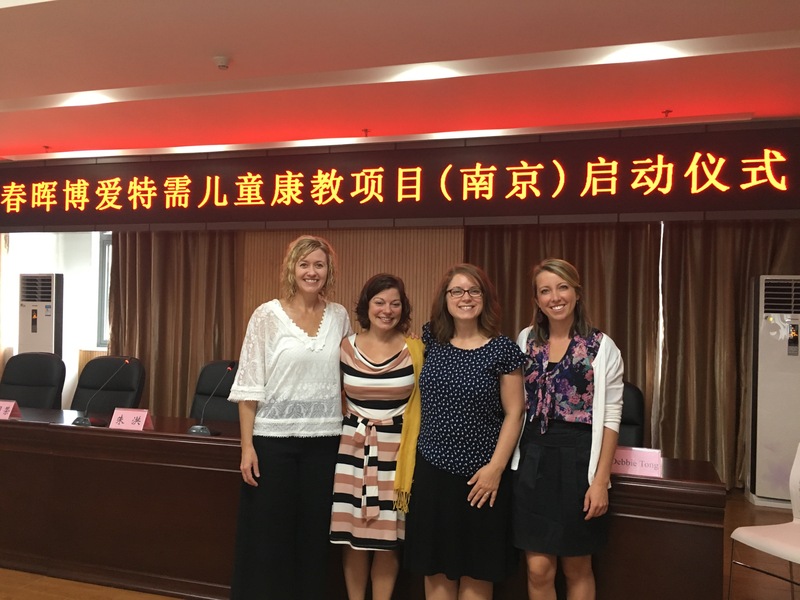 The Hello Foundation recently partnered with the SPOON Foundation to send Sandra Lucas, CF-SLP and Heidi Peters, MA, CCC-SLP to Nanjing, China. 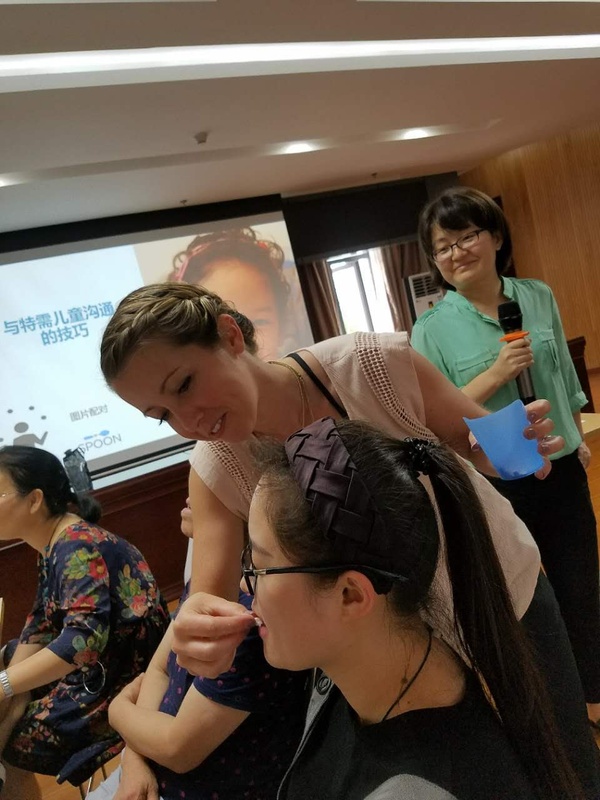 They served on a team of specialists delivering feeding and nutrition support to orphanage staff with the goal of preventing nutritional deficiencies that impede the development of children living in Child Welfare Centers, which what orphanages are referred to in China. 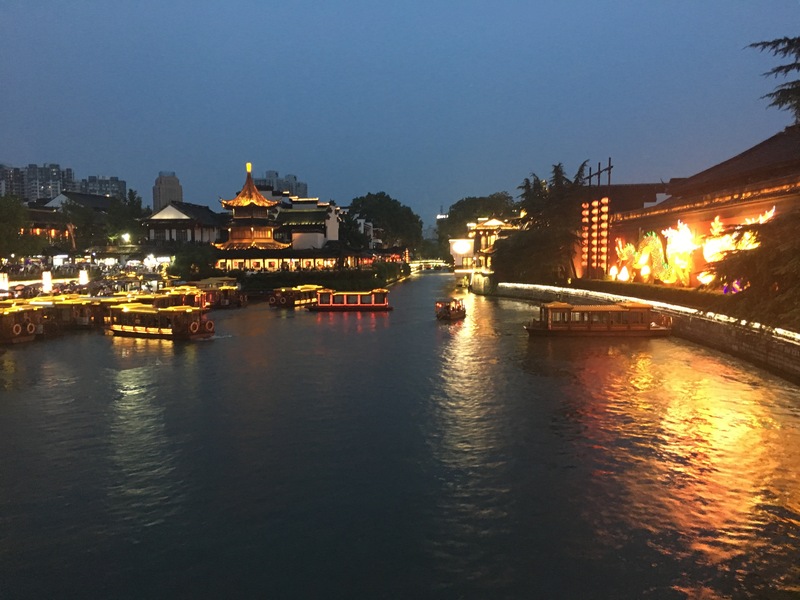 After nearly 48 hours of travel, which included an unexpected overnight in Beijing, we arrived in Nanjing, China. We received the most gracious and warm welcome from the partner organization, OneSky, in the form of a beautiful banquet dinner! Along with the SPOON foundation representatives, Maureen Dykinga (SLP/feeding specialist) and Sarah Sahl (Dietitian), we had the pleasure of dining with representatives from the Child Welfare Center, OneSky, and several helpful translators. 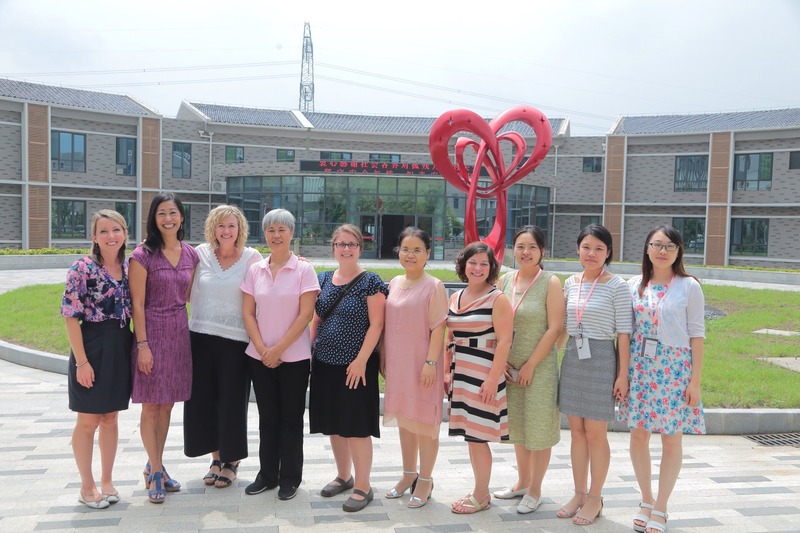 Trainings began the following morning and were held at the brand new Nanjing Social Children’s Welfare Institute that just opened its doors on June 12, 2017! The orphanage was big, beautiful, and everything looked state-of-the-art. They had all new equipment, with a beautiful rehab area and impressive sensory area. 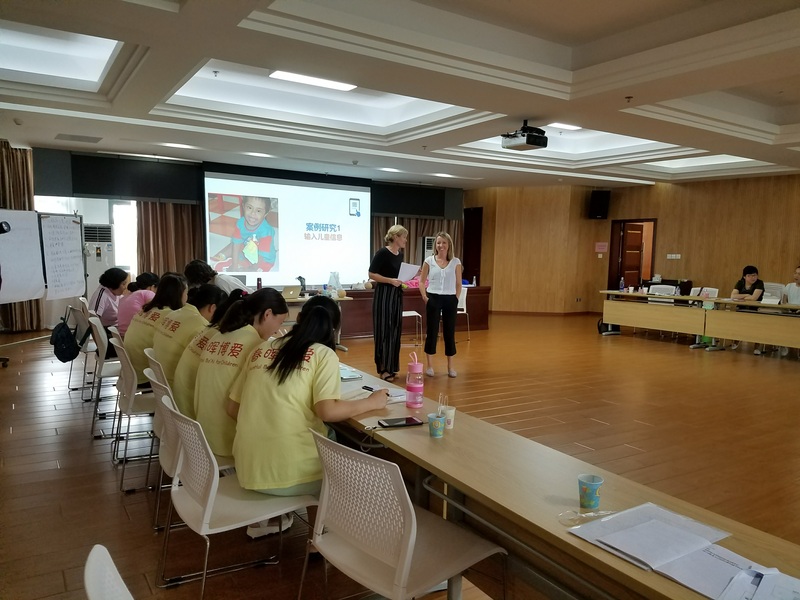 The trainings we provided were part of a larger two-week training and included presentations from a physician, physical therapist, IEP/educational specialist, and our team of a dietician and SLPs. 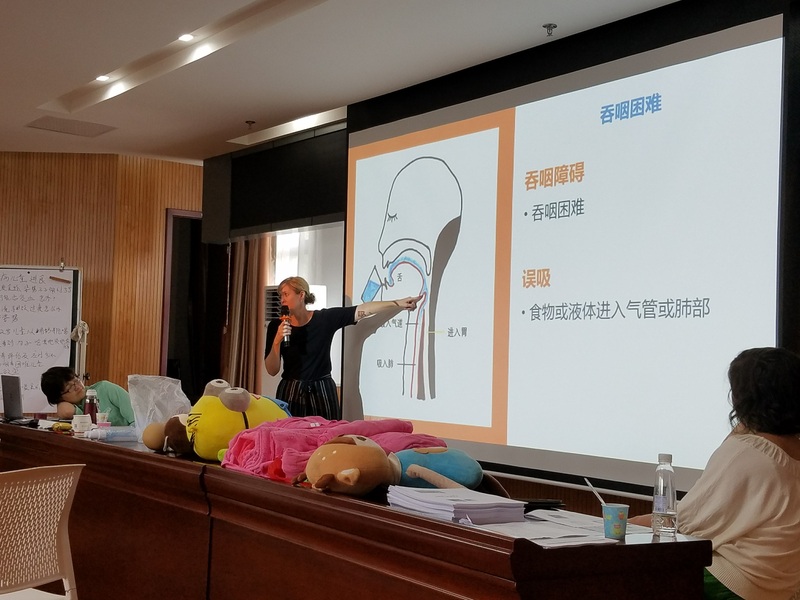 OneSky coordinated this training and works in close collaboration with the Chinese government to better the care for orphaned children. 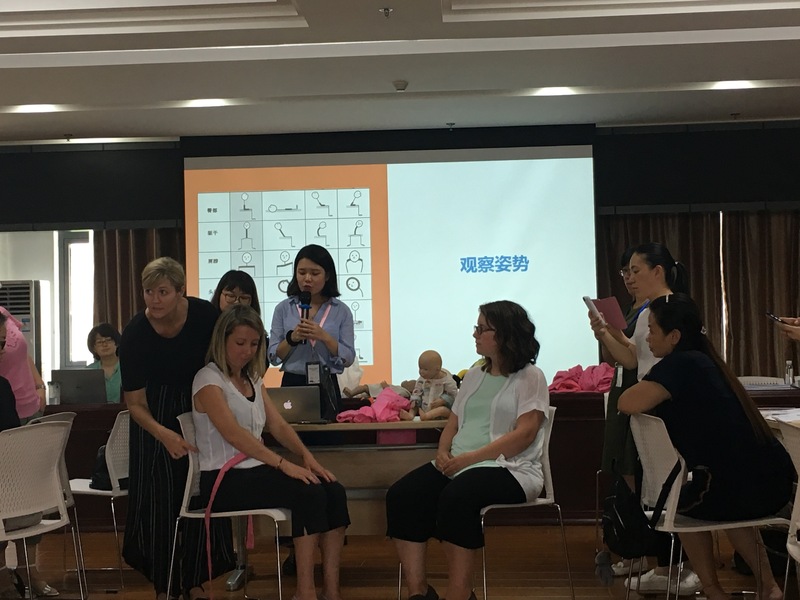 This training was part of a pilot program, reframing of the way children with disabilities are cared for in China. The pilot program will consist of 20 children with disabilities, and each child will have an IEP developed specifically for them. 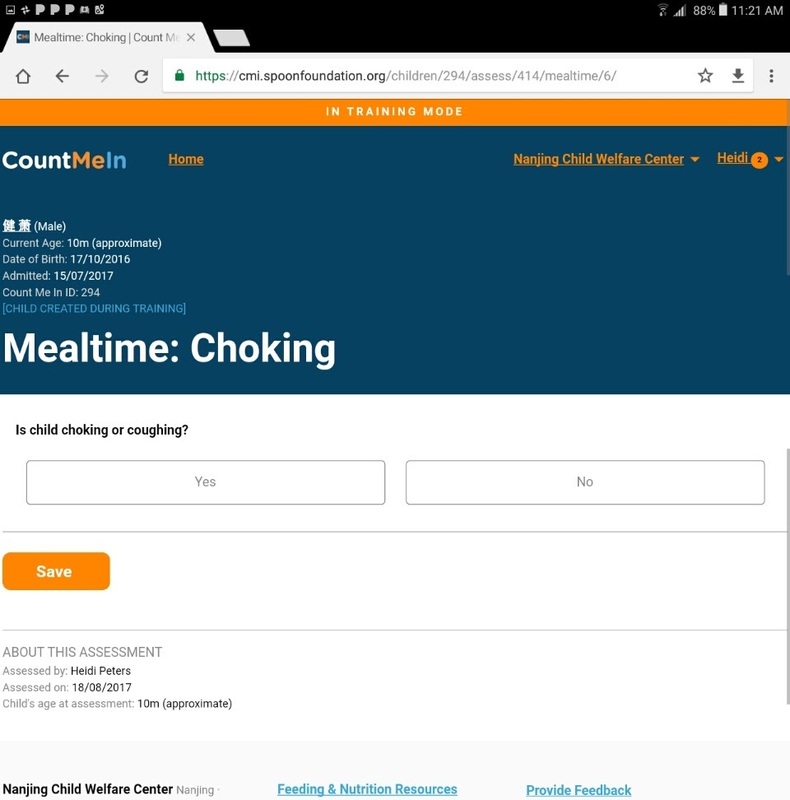 Additionally, through the knowledge gained regarding physical therapy, nutrition, and feeding, these children’s overall health and development will significantly improve and much of it will be followed using the “Count Me In” web based application developed by SPOON (more on this below). Each morning we took a large charter bus to the orphanage and the daily trainings started at 8:30 am and went until 3:30 pm, with an hour lunch and an hour “rest period” in the middle of the day. 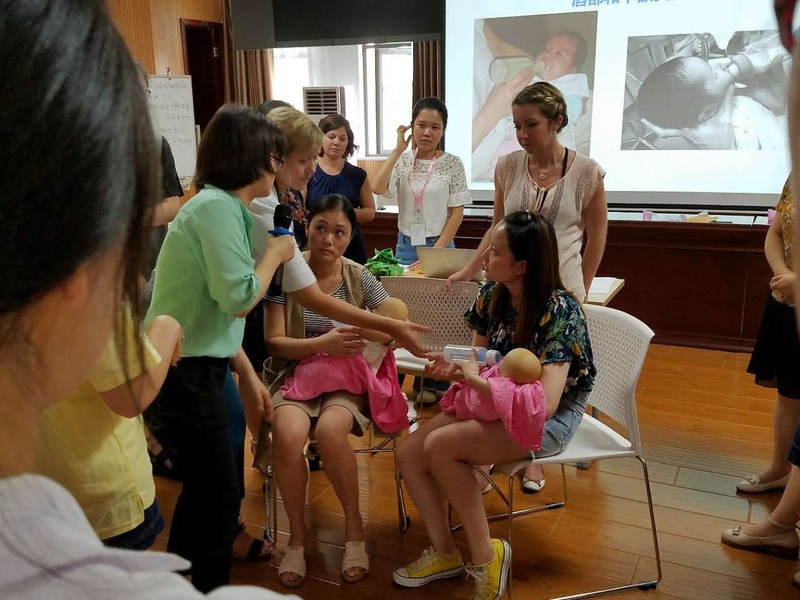 Participants attending the training ranged from local physicians to caregivers within four orphanages. The training focused on teaching participants how to use SPOON’s “Count Me In” app, which is an incredible feeding and nutrition web based application that allows users to track the growth and development of children, with focus on feeding and nutrition. It walks caregivers through a mealtime screener and observation and then uses that information to give feeding recommendations (i.e., positioning, texture modifications, caregiver supports, etc.)! It’s like having a virtual SLP!! The app can track kids over time and notifies you when there is cause for concern. 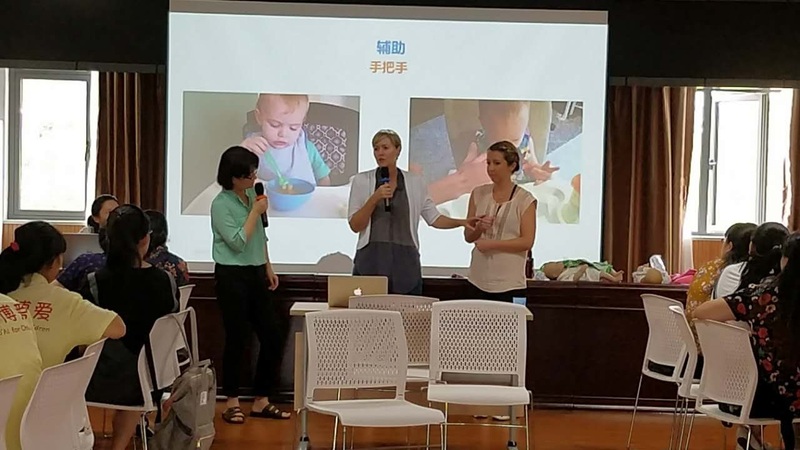 We also trained on feeding basics, which included proper feeding positions, how to support children with physical disabilities, texture hierarchy and matching the right consistency for a child, communication in children with limited verbal skills, and in overall communication strategies. The children we worked with and saw within the center ranged in age from infant to around 8-9 years. The most prevalent disabilities we saw were Cerebral Palsy, Autism, and Down Syndrome. 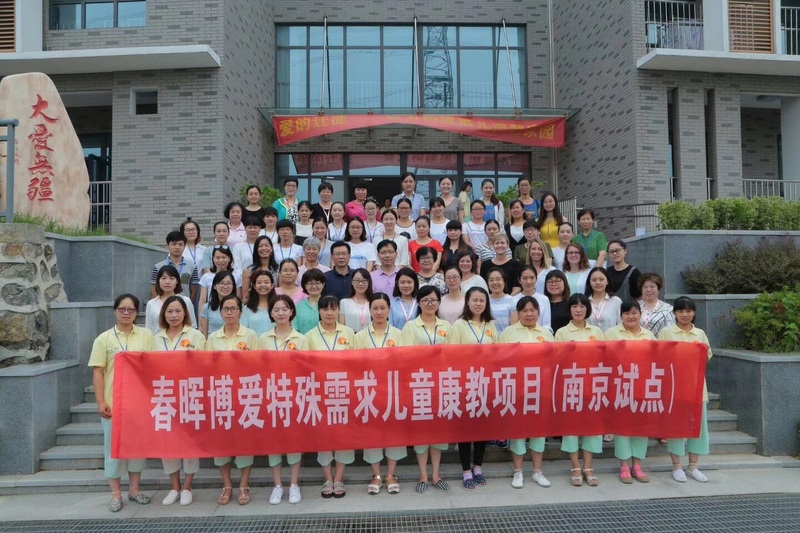 We were told that around 80% of the children in Chinese Child Welfare Centers have physical or cognitive disabilities, which is a recent shift from when they primarily housed girls. 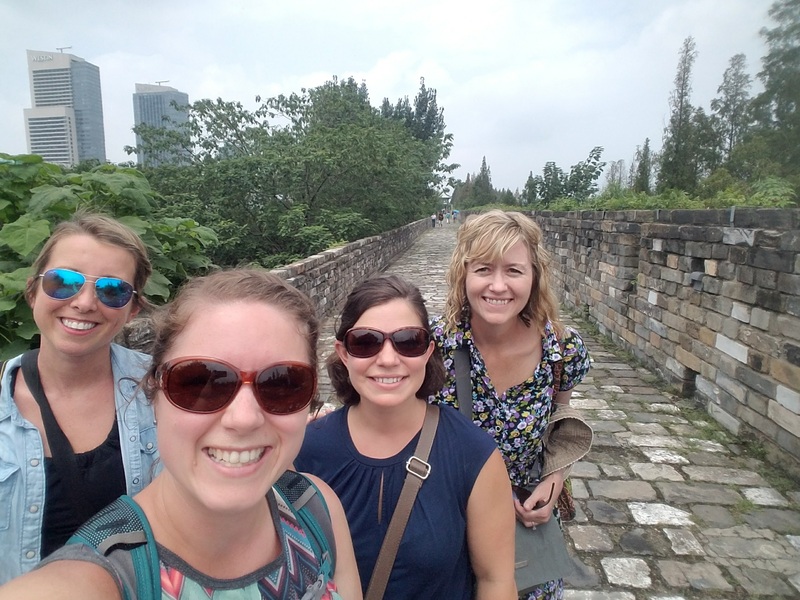 This experience was an incredible opportunity to share a different approach to feeding and nutrition, immerse ourselves in a culture much different than our own, and meet new people. The OneSky staff were amazing to work with and we look forward to the ongoing friendships we made. 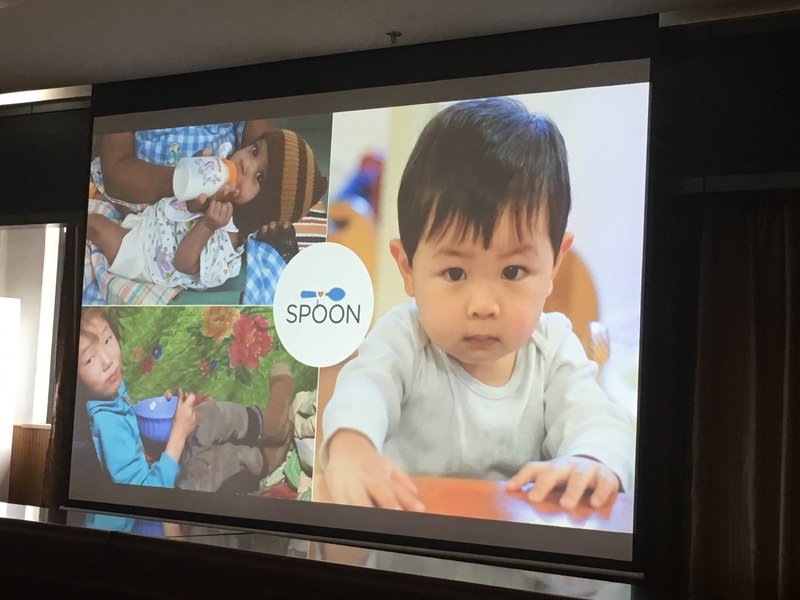 We feel honored to be a part of SPOON’s work and training with the ‘Count Me In’ app to improve precious lives around the world!